eRikm is a French virtuoso turntablist and sound artist. 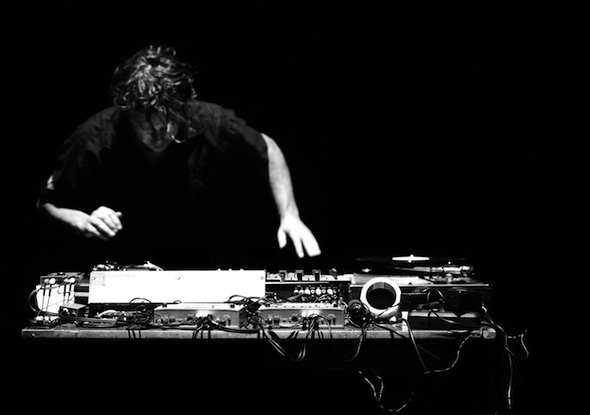 Pushing the limits of turntables and the human voice, he experiments at the interface of technology and body and combines aspects of experimental music, Musique Concrète and installation art, popular culture and avantgarde, composition and improvisation. Besides his solo projects eRikm has worked with numerous established artists such as Luc Ferrari, Christian Marclay or Otomo Yoshihide. His audio-visual works and his participations in genre-crossing compositions and installations have been widely shown and performed (ICA, London, Darmstadt Summer Courses for New Music, MACBA; Barcelona e.a.). eRikm (born 1970) lives and works in Marseille.